Outstanding reliability for business use The DM-720 includes high quality features packed into an efficient, smart body. 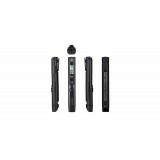 Equipped with an easy-to-use interface, editing functions that extend audio use, and various playback functions, this recorder provides outstanding pract..
High resolution recording in a robust, compact body The LS-P1 Hi-Res Audio Recorder from Olympus makes high resolution audio recording possible - anywhere, anytime. Thanks to its compact size, not only can you record instrumental and choral musical performances, you can easily recor..
A new simple recorder, designed for smart functionality, intuitive operation, and one-touch recording This simple and easy to use recorder can be used for recording memos, reviewing lessons, practicing singing, and more. 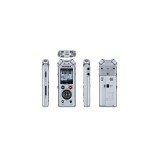 As the latest in the VN series, it inherits ease of use, simpl..
New Concept Pen Type recorder. Casually record any scene. 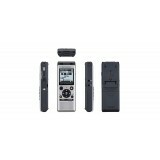 The new sleek design of the VP-10 allows you to capture conversations naturally, even while having the recorder in your pocket. 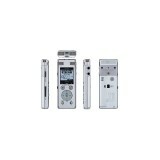 This innovative recorder features new technologies optimum for business use, to achieve high-qual.. 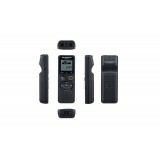 Everyday recorder for use in a wide variety of situations. The WS series established for its clear audio quality and superb operability has been improved. The new WS-852 features a new Intelligent Auto Mode, which is perfect for when there is a distance between the speakers and reco.. 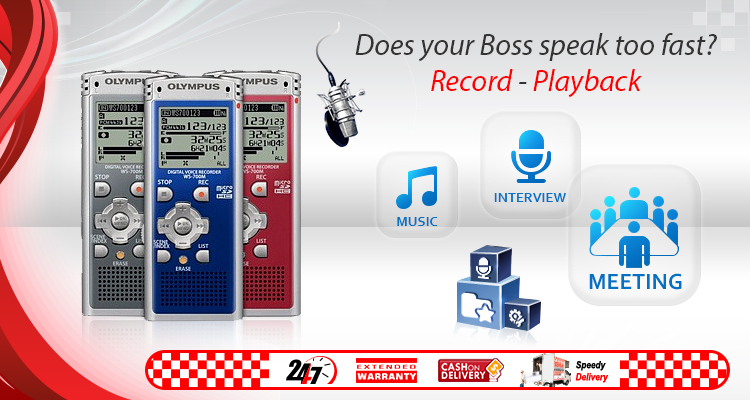 Fully featured recorder for high performance and ease of use. The WS series established for its clear audio quality and superb operability has been improved. The new WS-853 features a new Intelligent Auto Mode, which is perfect for when there is a distance between the speakers and r..